While the consumer IoT has captured the imagination with smart appliances and devices, the industrial Internet of Things (IIoT) is a rapidly growing market. According to Accenture, the IIoT market could add $14.2 trillion to the global economy by 2030. 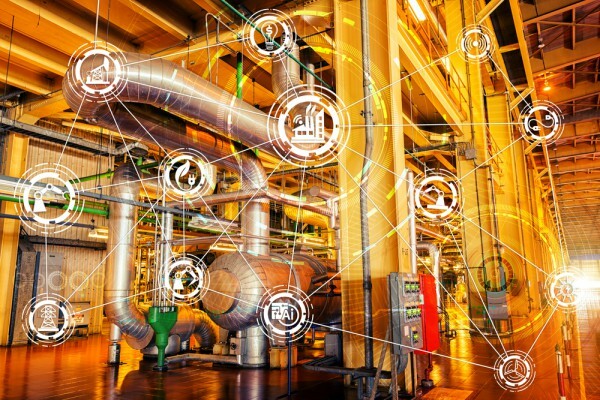 IIoT is also breathing new life into industries that are in great need of digital transformation, such as manufacturing, oil and gas, and more. As a result, artificial intelligence and machine learning are quickly becoming one of the biggest priorities for companies that want to make the most of their operational data to increase outputs using less energy and costs. These industries have enormous potential to decrease their operational costs and energy consumed by leveraging the data they already have on site. Today this data is stored across various legacy systems and currently going untapped. This is the focus of Plutoshift, a company that is working with companies in industries such as food processing, beverage, and chemicals to leverage the power of AI and automatically connect asset data to key business metrics. We spoke to its CEO, Prateek Joshi to find out more. BN: Before we start, can you explain how IIoT differs from consumer IoT? PJ: Most people have heard of IoT and associate the term with smart thermostats, refrigerators, or fitness trackers. These IoT applications are built for consumers' convenience. The IIoT focuses on connecting machines, devices, and assets in industries like manufacturing, transportation, healthcare and more. The IIoT brings together these databases, computers, and systems with sensor data to make operational processes much more efficient. Companies can then transform their asset data, which today is too resource intensive to use, and achieve greater productivity gains that result in benefits far beyond convenience. BN: Can you explain how AI and IoT applications can transform these industrial and manufacturing industries? PJ: Industrial executives and operators are faced daily with the challenge and pressure to do more with less and reduce their excessive resource consumption. There is immense potential for AI and machine learning technologies to help companies address these challenges, mitigate rising costs, and increase their profit margins. For example, within the beverage industry, there might be one process analyst responsible for maintaining assets for up to 12 different plants. With each plant, there may be five types of software systems that house the data, such as SCADA, ERP, CMMS, and others, within complex and aging on-premise environments. As a result, industrial plant operators are making decisions based on years of on-the-job experience and clunky tools to conduct asset performance management. We help these process analysts extract data from their own systems, determine if it is viable to solve their problems, and then apply AI to analyze and provide a higher level of data intelligence. This lets them better track and deliver on their key performance indicators and goals. Due to the large volumes of readily available historical and real-time data within these systems and plants, AI also uncovers blind spots previously unknown to analysts because they've been unable to link all of this data together, building a bridge between the data and the business metrics, which is crucial. Cloud-based AI solutions let them make more informed decisions, providing benefits such as higher throughput efficiency and increased revenue retention, as well as extending the life of a plant’s assets. BN:What problems lead companies to explore AI-based solutions? PJ: What ties different industries together are the assets they use and the key performance indicators on which they focus. There are many reasons a company turns to AI, including answering questions like: How much energy is an asset consuming, and how can we impact that? How does each operational activity affect the life of the asset? How can I extend the life of my asset? How can I increase my throughput efficiency? How can I reduce my downtime? All of these questions are focused on process manufacturing and asset performance management. In addition, there is a new generation of workers that are digital natives and accustomed to having data at their fingertips. They don't want to learn or train on legacy or outdated systems; they want data access anytime and anywhere. This opens the door for industrial plants to take on more cloud-based solutions to empower this emerging workforce. Plus, it's a major initiative across any industrial segment to leverage the cloud and SaaS solutions to reduce their capital expenditures. BN: You mentioned uncovering blind spots. Can you elaborate on what blind spots AI can help find? PJ: We start by helping process analysts understand how to extract the data from their systems and determine whether or not this data can solve their problems. Bringing this data together and then applying AI algorithms unlocks insights and trends never before realized. Some of the common blind spots AI can help uncover include building a bridge between the asset behavior and revenue, and creating key performance indicators that link to bottom line business metrics, which is the most important aspect of the work we're doing. It's not enough to just monitor assets; the data has to enable business users to achieve their goals. With the help of AI, industrial plants will become more proactive. Instead of using unreliable tests and static rules of thumb, decision-makers can employ data-driven approaches. The sensor data generated at the plant is highly valuable, and AI-based solutions can convert this data into wisdom. The data helps predict trends and measure key performance indicators, connecting it all back to business metrics, which operators can then use to increase efficiencies and maintain profit margins. BN: Why should consumers care about the IIoT? PJ: The IIoT reaches consumers, from the dairy products they consume, to the packaged goods they purchase, to the brand of soda they drink. Companies want to use less energy to create products and are recognizing more and more that consumers want to connect with brands that are making sustainability a focus. More consumers today are making purchase decisions based on the effect the product has on their daily lives and how it fits into the larger ecosystem, which has far-reaching benefits and implications across all industries and for the consumers those industries serve. Beverage producers, food processors, chemical companies, and manufacturing facilities can all leverage AI to better monitor and optimize a broad range of operational data and procedures. When these industries harness the power of the IIoT, the benefits have the potential to reach not only companies, but consumers and all of society, as well.